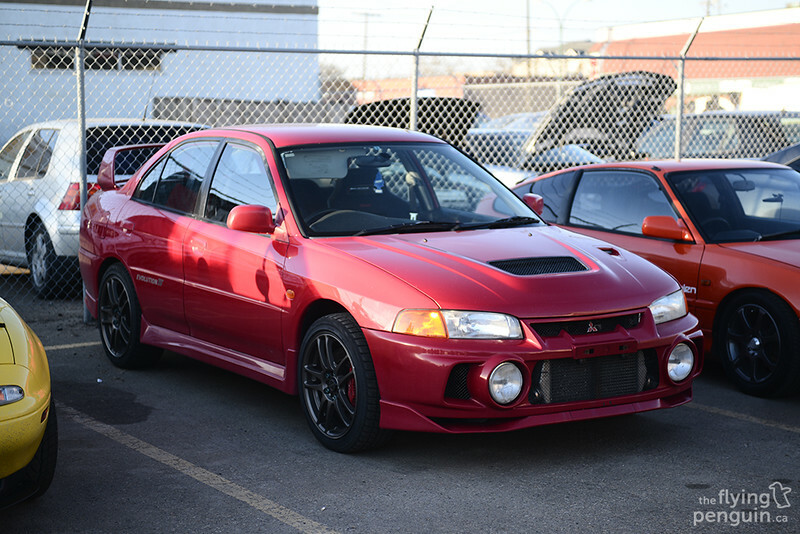 Once a year the boys and girls of 780Tuners came together for the annual Season Opener meet. 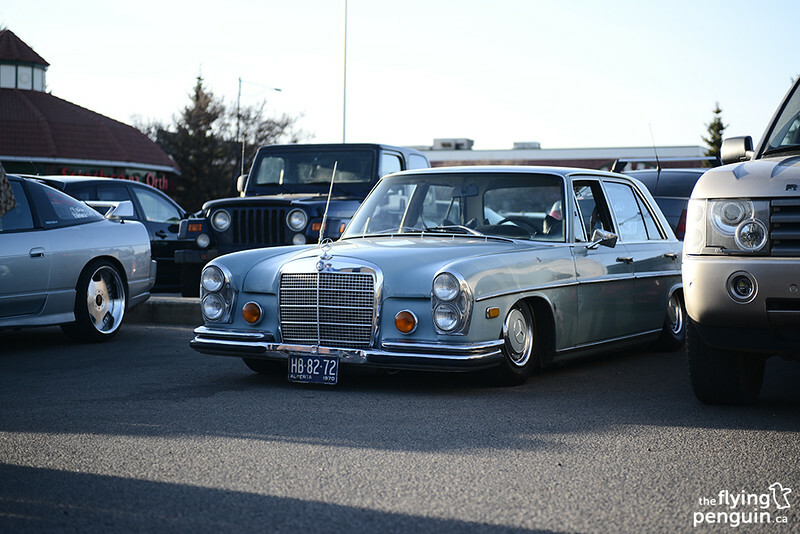 As the name suggests, the Season Opener is the first outdoor car meet of each year to celebrate the coming of warmer weather (especially from our Siberian winters). 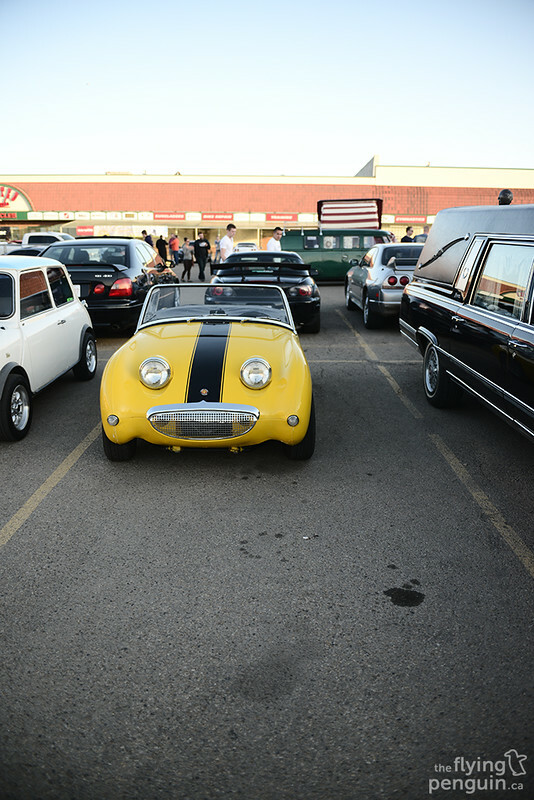 During this meet, many car enthusiasts of all backgrounds gather in what is the largest car meet in Alberta. 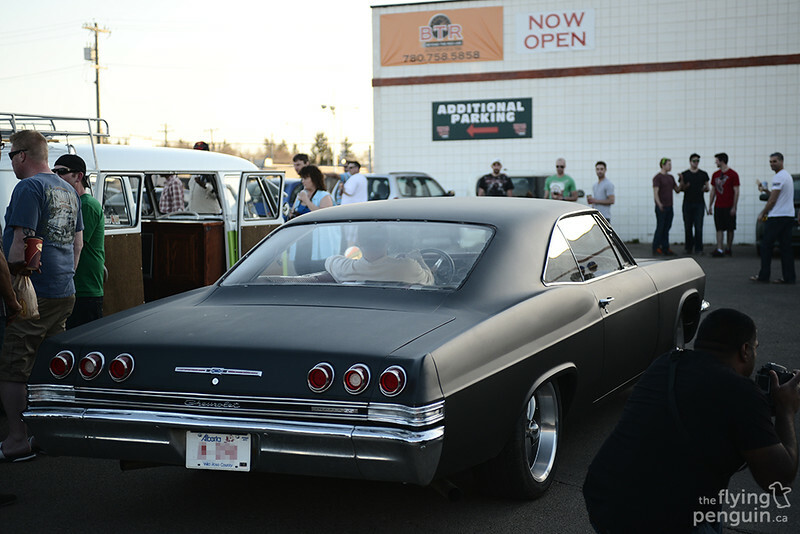 This year, there were over 500 cars! …this appeared next to me. 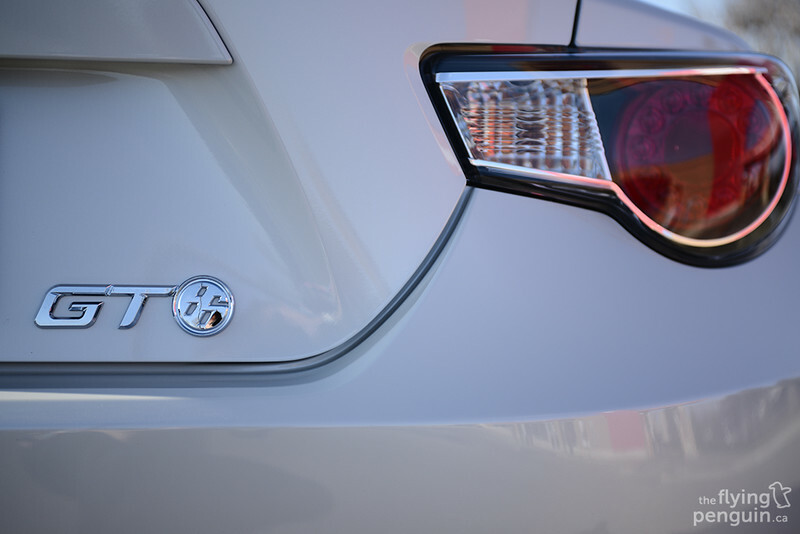 This particular FRS has been given the full JDM treatment with Toyota GT86 badges to be found all over. 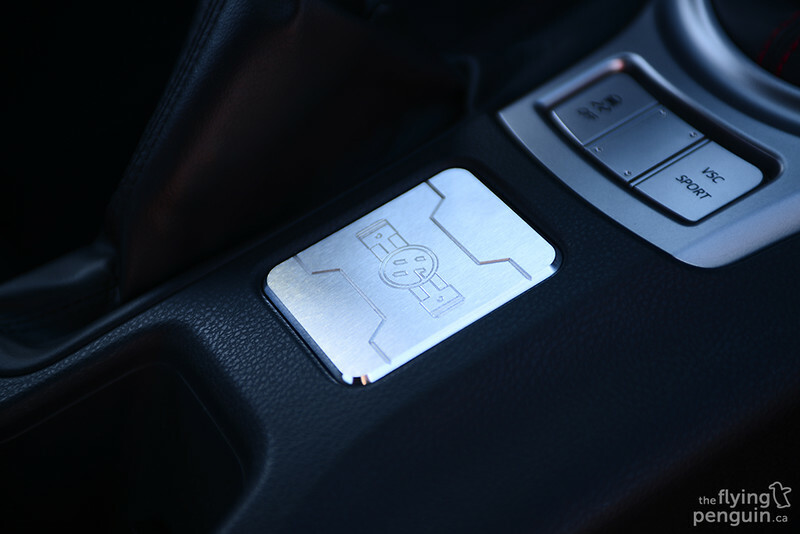 …to even the center console plaque. A very classy touch. 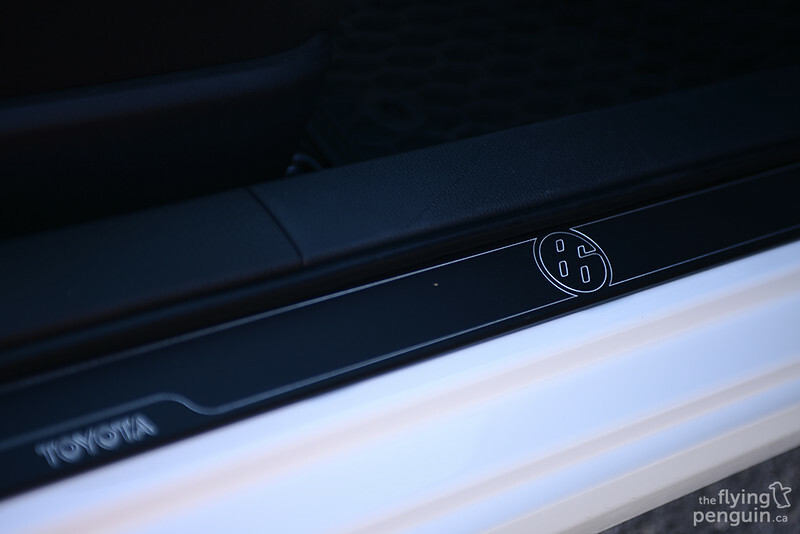 Besides all the GT86 badges, this FRS is pretty much stock with the exception of an Invidia exhaust and these Volk TE37SL Black Editions which were actually fitted to the car just the night before! 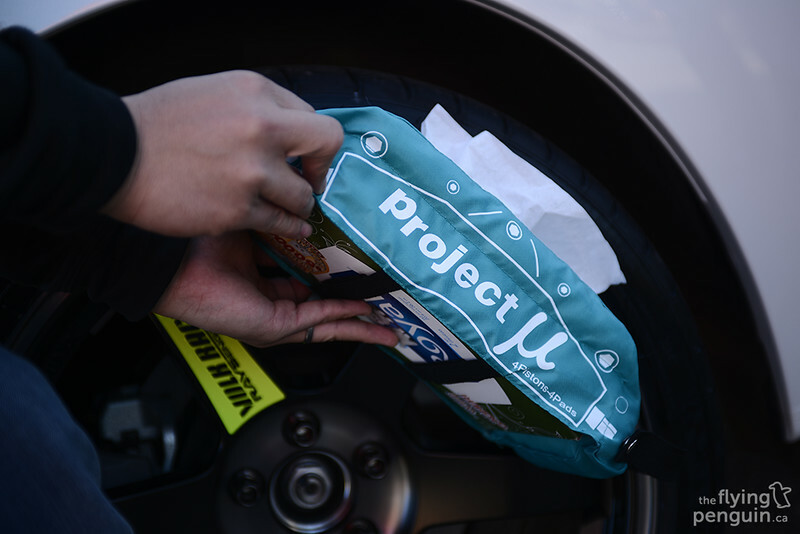 My favourite “mod” on this FRS, however, was this very rare Project Mu tissue box cover! 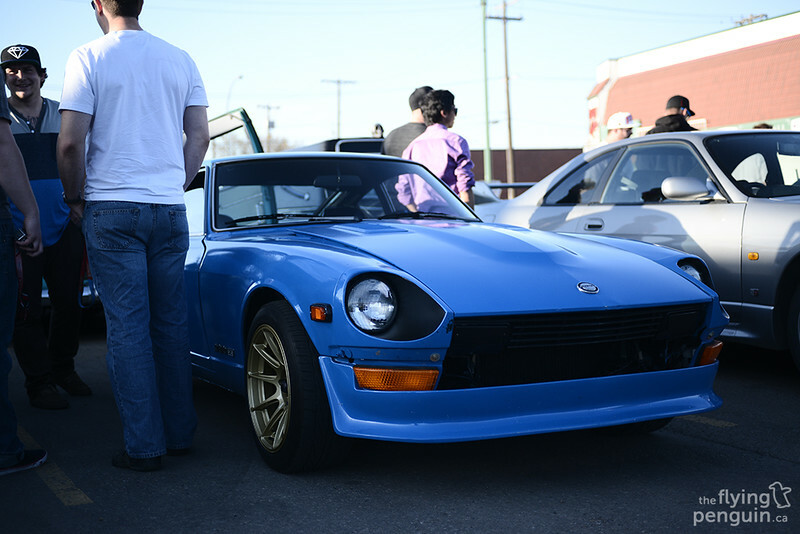 Once I arrived at the meet, one of the first cars that caught my eye was this bright blue Z.
It’s nice to see more of these classics being restored and brought onto the streets once again. 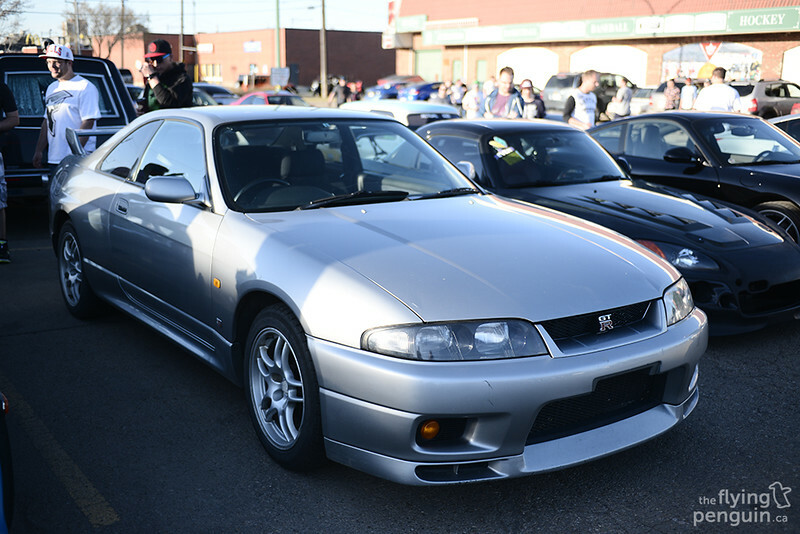 The R33 GTR has been legal for import in Canada for a while now, but you still don’t see too many of them rolling around. 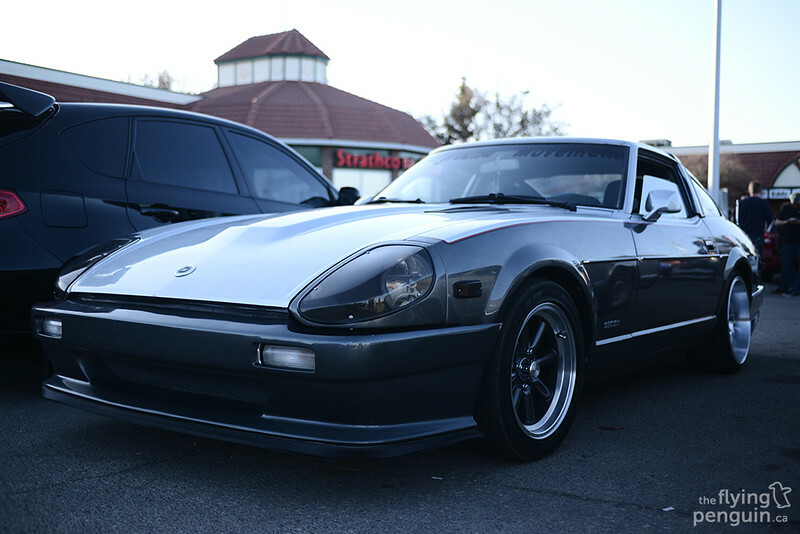 Another car we don’t see too much of is the JZA70 Supra, whether it be JDM or not. This one was looking especially good! 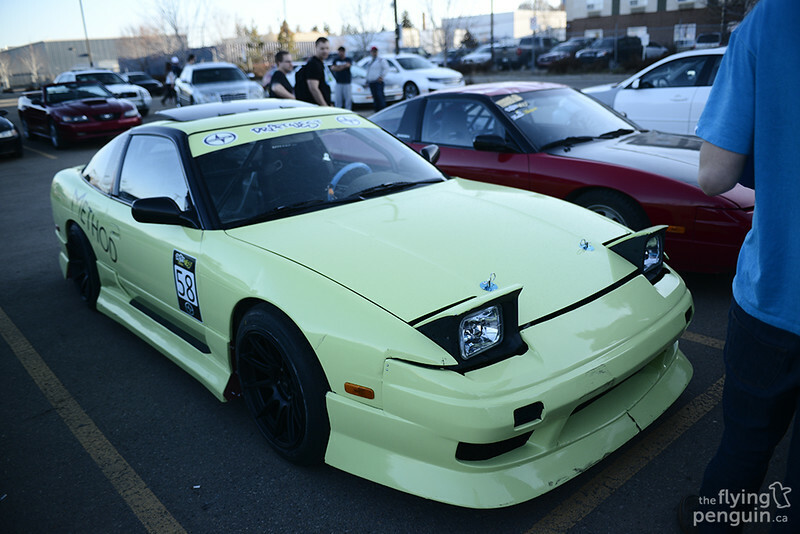 This fully built drift-spec S13 was built by G-corporation in Japan and is currently for sale as well! 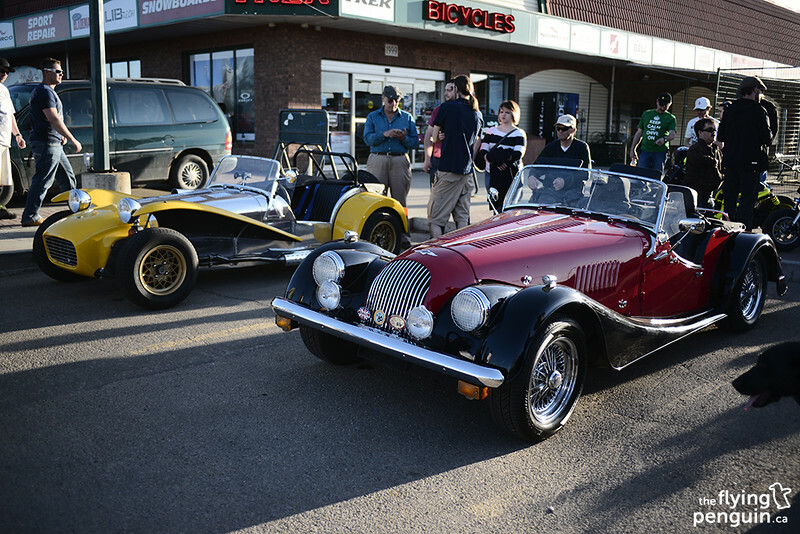 I don’t actually think I’ve ever seen a Morgan in person before, not to mention parked right next to a Lotus 7! 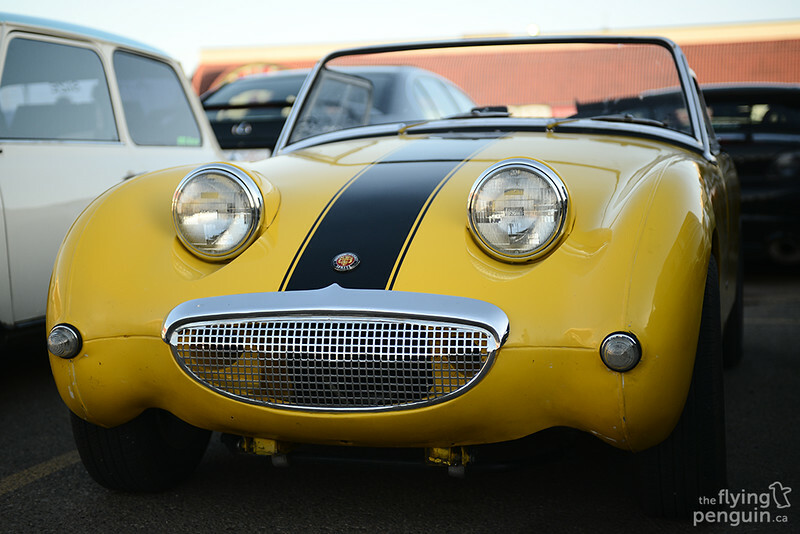 Another first for me was this tiny little Austin Healey Sprite. 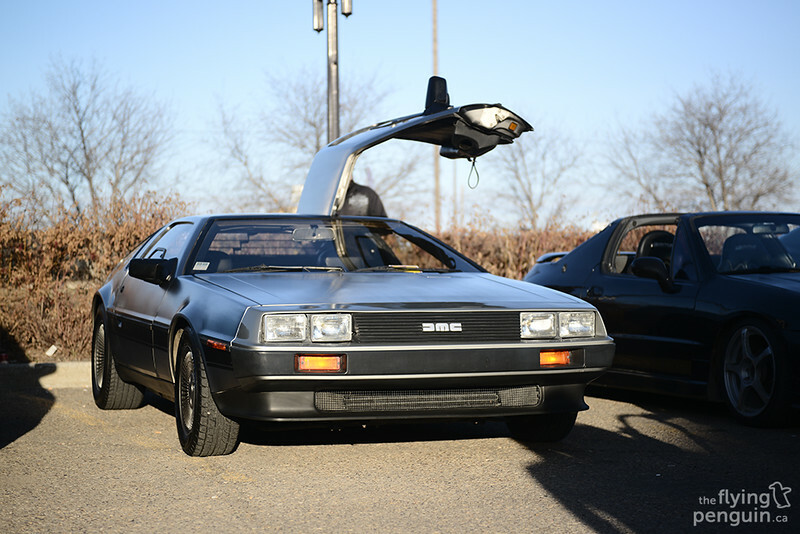 Quite the contrast from the Back To The Future version we saw at last weeks Calgary Expo ! A Spoon Integra Type R that I ran with on the track last year, although it looks like it has a few more battle scars now. 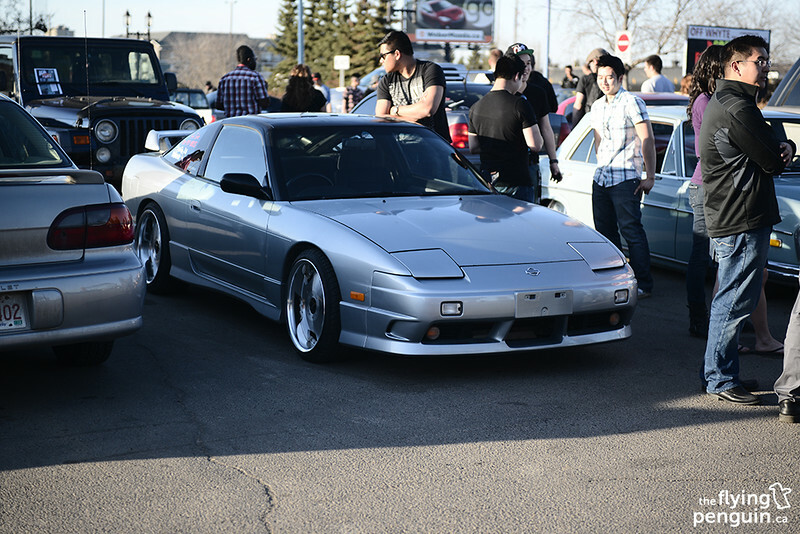 A very clean example of a 180SX, this particular one sporting a full Kouki Type-X conversion (also for sale!). 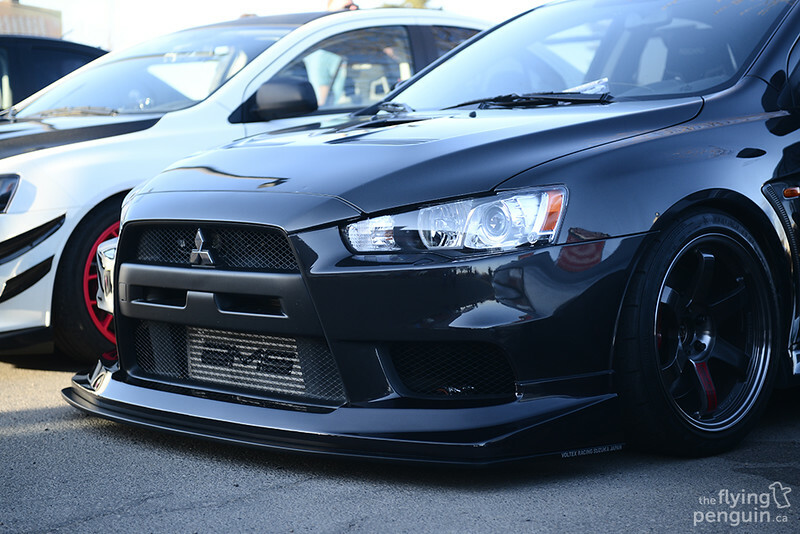 How the owner of this slammed Evo X manages to drive on our pothole ridden roads is beyond me. 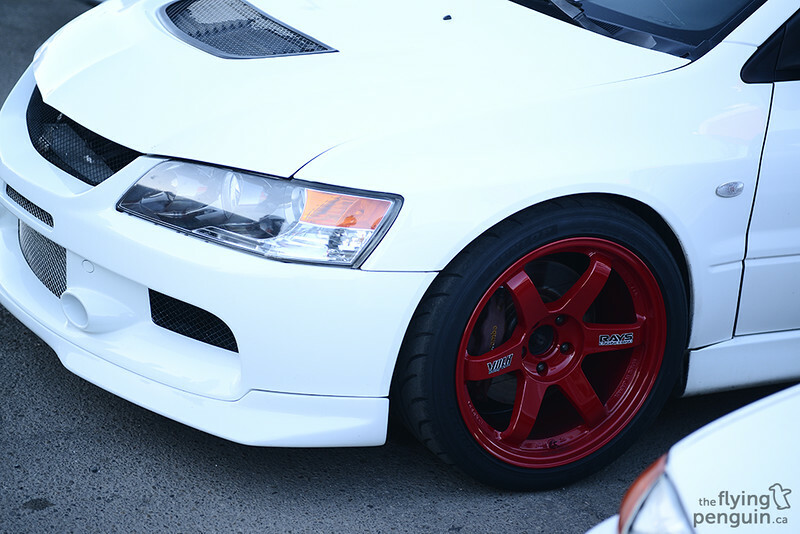 Larry Leung’s Evo IX sporting some new color this year with a new set of red TE37s! 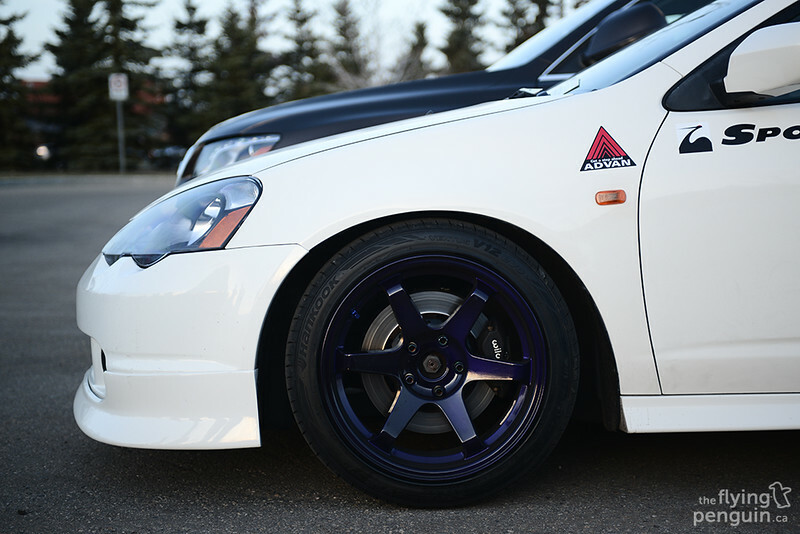 Meanwhile, this RSX has gone with a more subtle look with a Midnight Purple version of the ever so popular wheel. This RSX is actually owned by a friend of mine and is getting a new JDM DC5R front end soon! 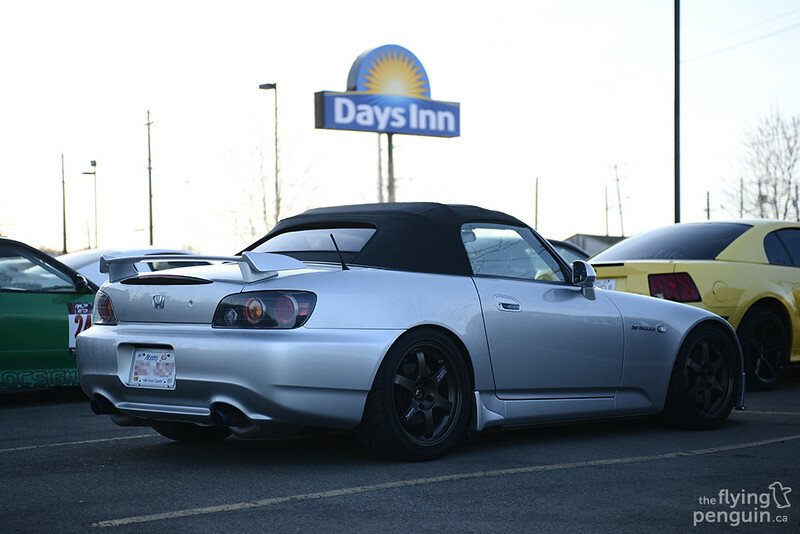 I’ve always liked the simple but aggressive look of S2000’s and actually prefer it over some of the more wild body kits we’ve seen over the years. 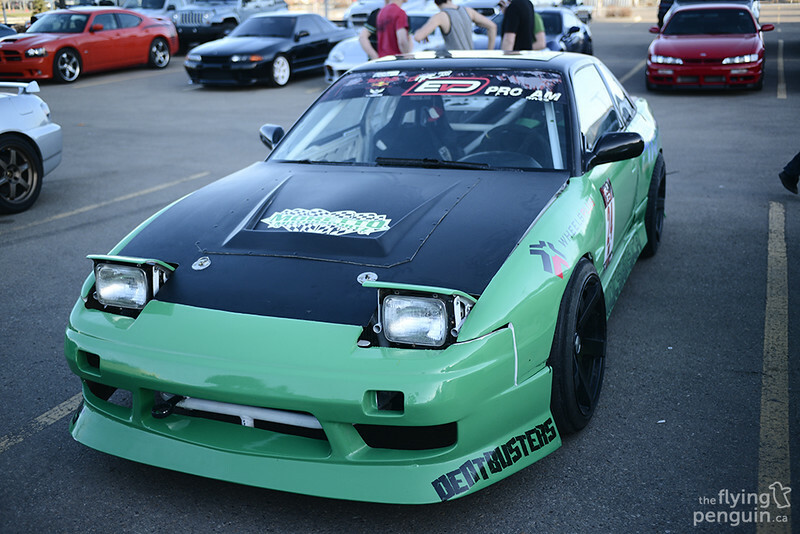 There were also a few track prepped drift cars that were driven to the meet. I can’t even begin to imagine how loud and bumpy these things are on the street! 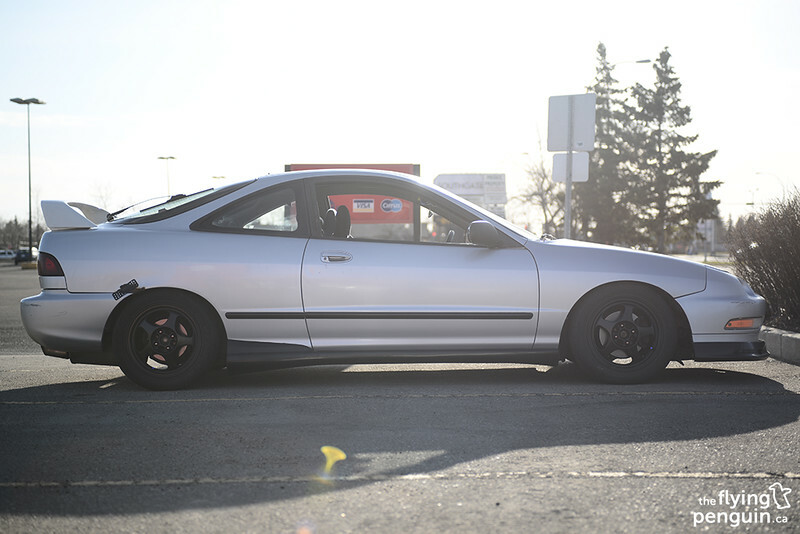 DA Integra’s aren’t exactly the most popular car to modify these days, but the owner of this one has done a great job. 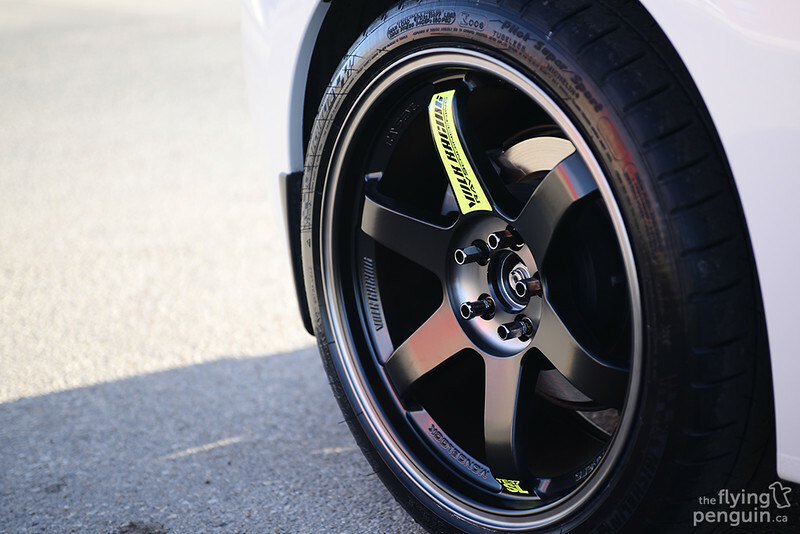 Loving the USDM DC2R wheels! 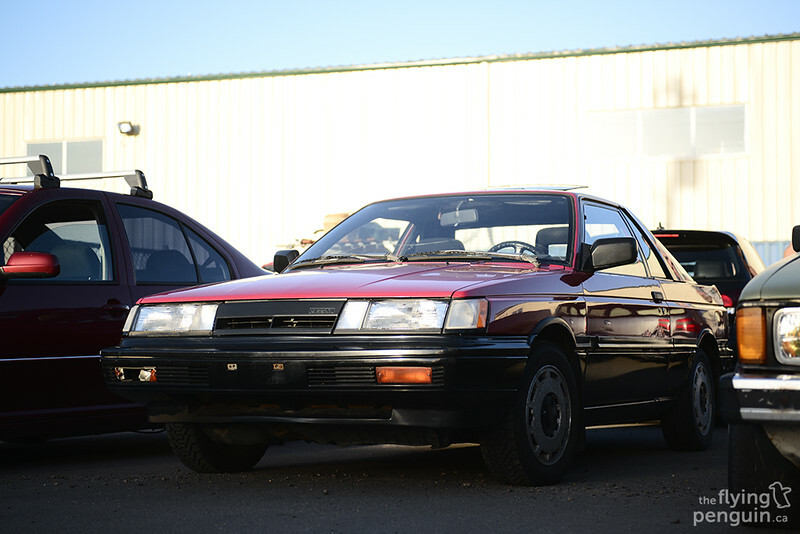 This rare 1987 Nissan Sentra is owned by my good friend Eric Tran. 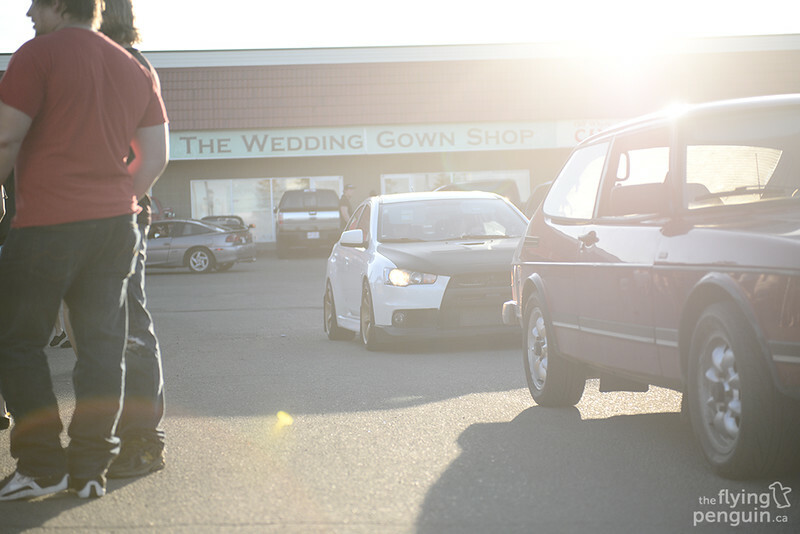 You’ll be seeing more of him and his car from me soon! 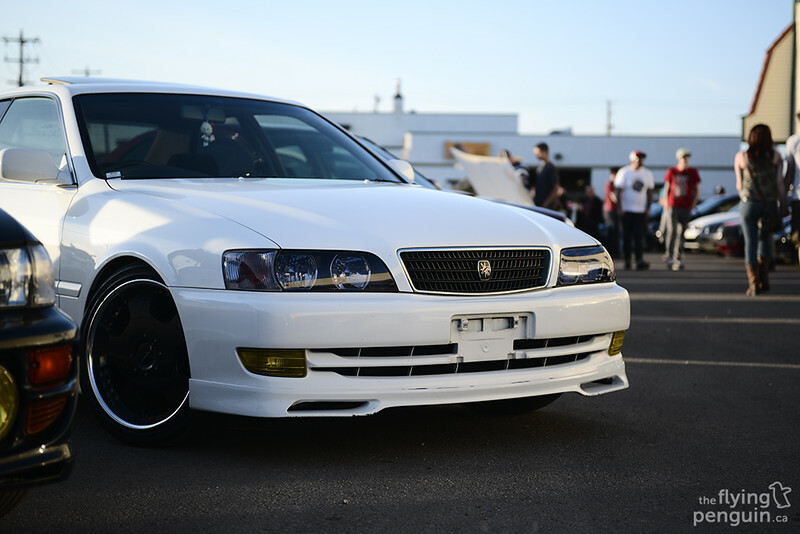 A perfectly mint example of a JZX100 Chaser. 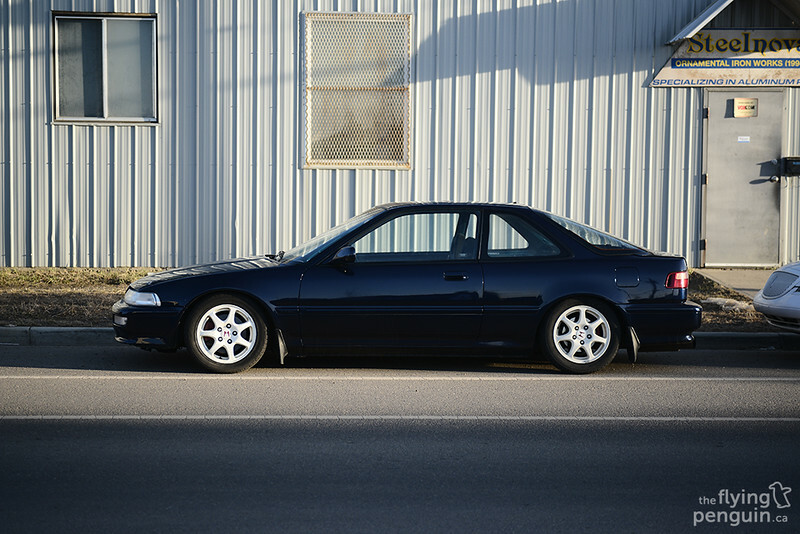 As you’ve probably noticed, Canadians love JDM cars! 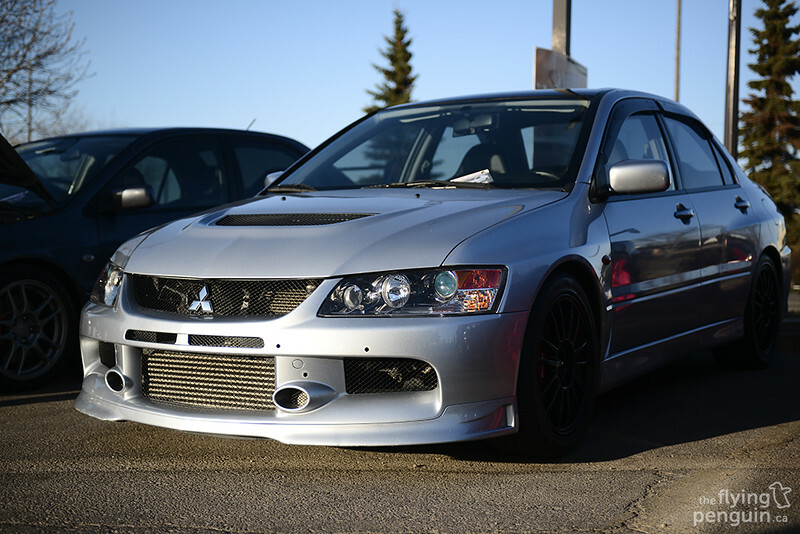 The Evo IV’s have been slowly making their way here with the V’s starting to land as we speak! 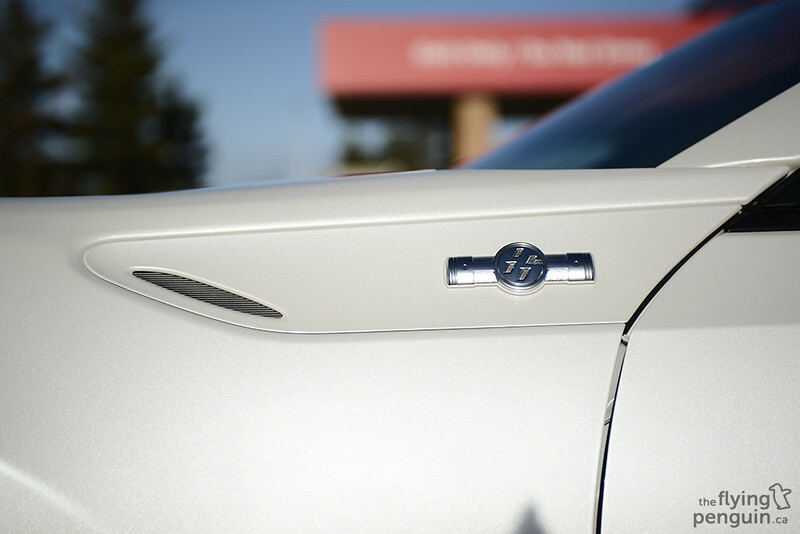 Rolling with the top down in style. 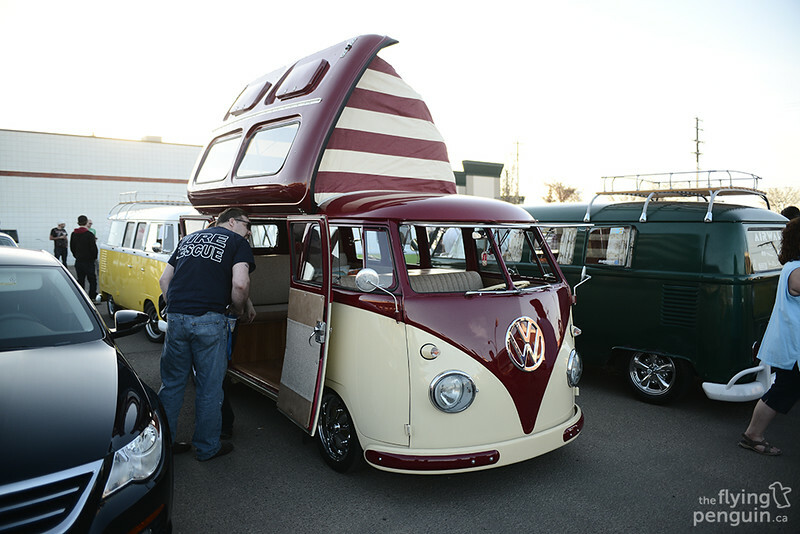 The VW Type 2’s made their presence noticed with this Camper Van! 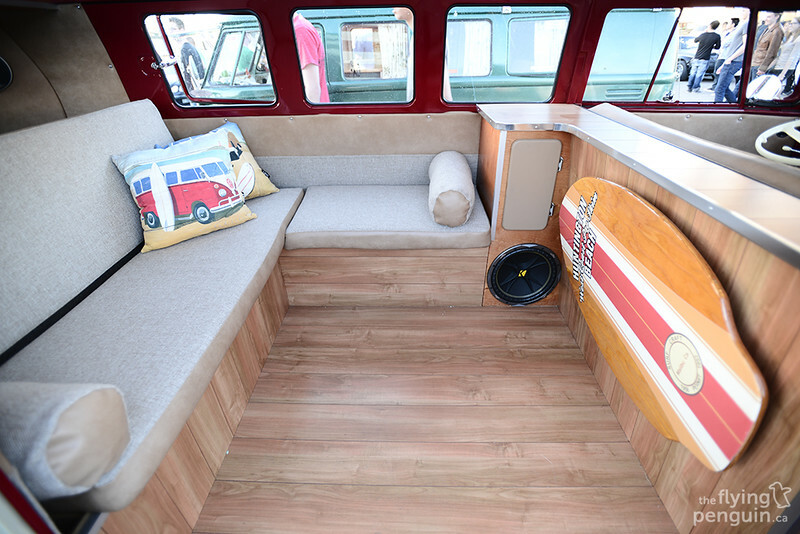 The interior was looking very retro, not to mention spacious. I wouldn’t mind going on a road trip in one of these! 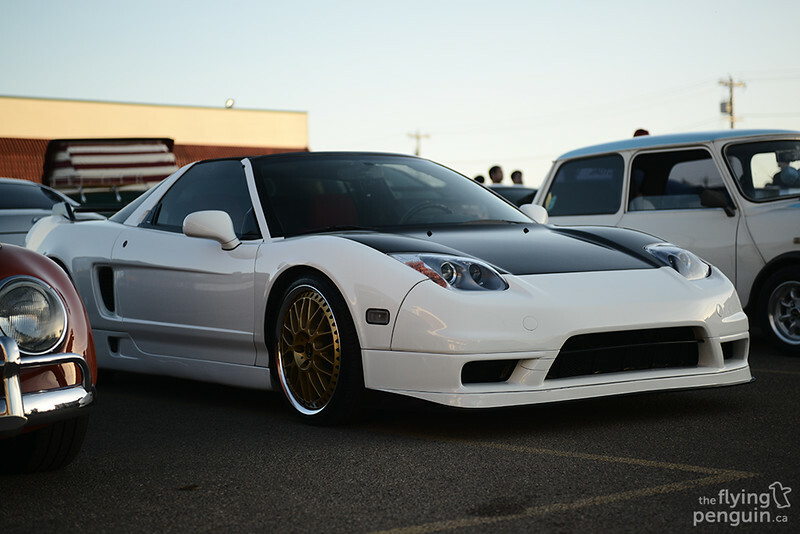 QPDO’s NSX looks amazing with the NA2 conversion. The design of the NSX really is timeless. It doesn’t matter when you’re looking at it, it’ll still look good. 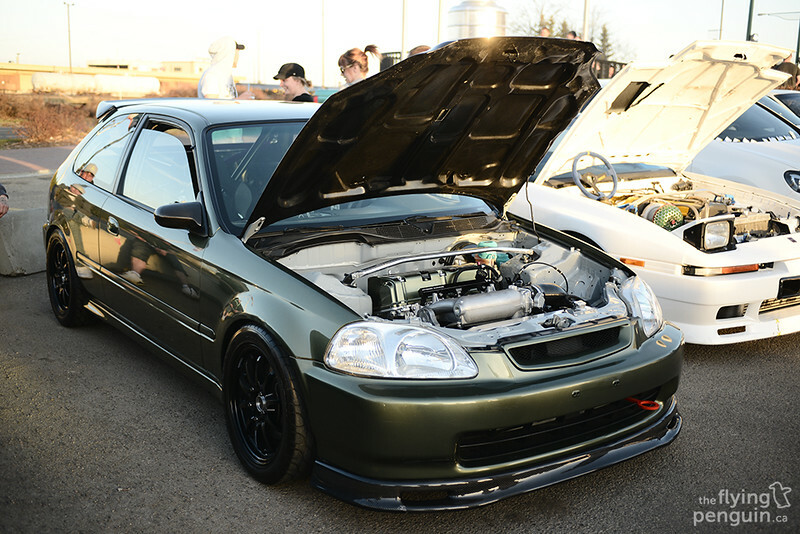 The Hybrid Racing EK Civic has recently been acquired by the guys at Speed Tech Auto Works. I wonder what their plans for the car are now? 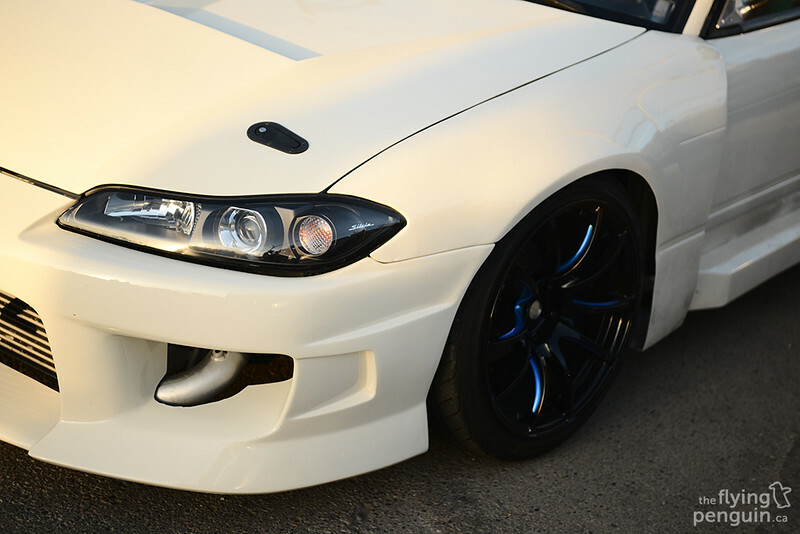 This execution on this car is flawless. 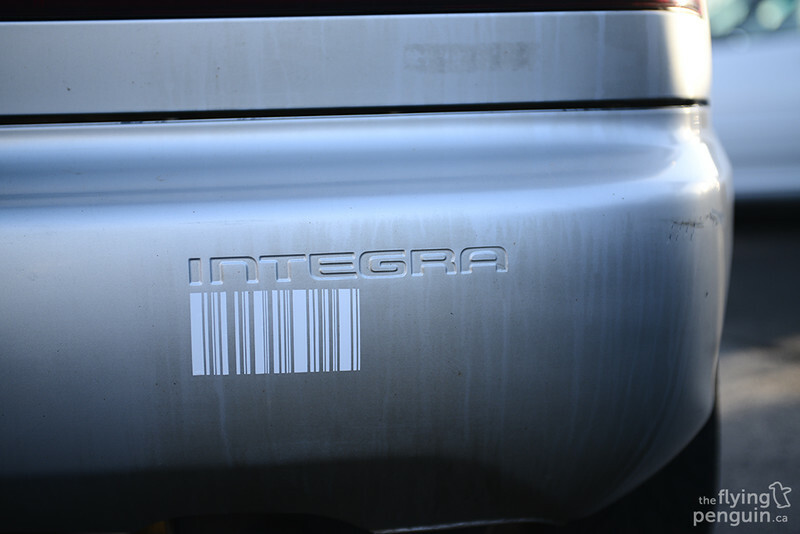 The overall build quality of this car is show car clean. As expected from Hybrid Racing! 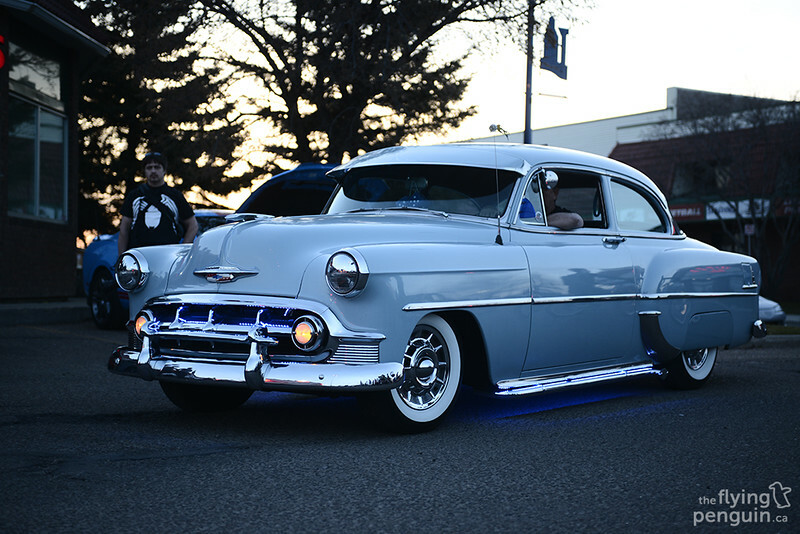 The LED strips on this Chevy Bel Air add a nice modern touch to a classic. 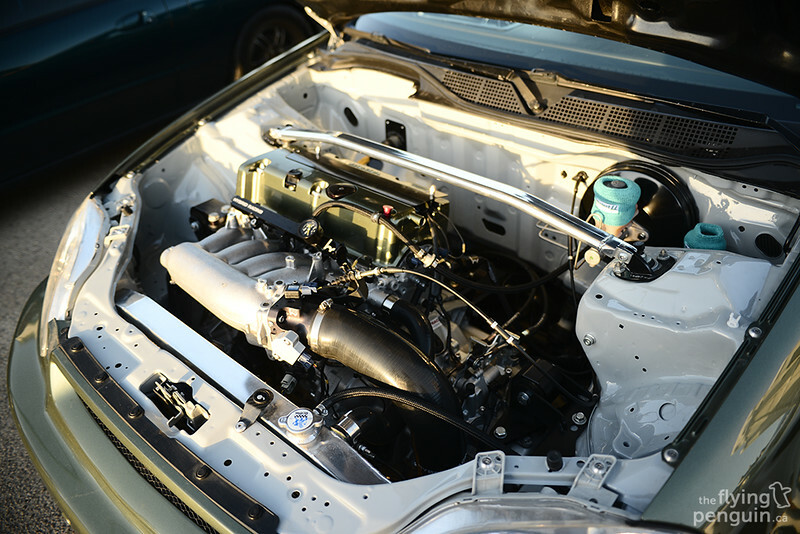 As people are always working on their cars and adding new parts, you can be assured that these cars won’t look the same for long. 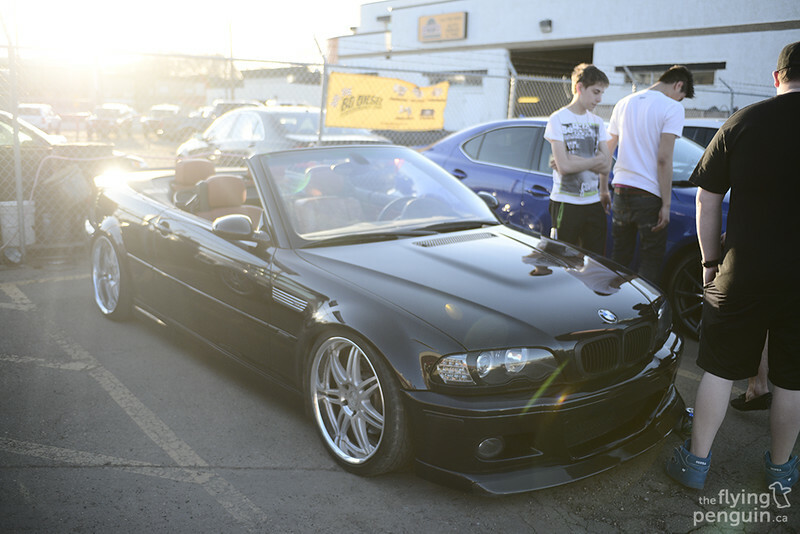 I can’t wait to see what people bring out to the meet next year!